Peace and Love All Night Long returns to Lantern Bar Room for another marathon of deep hypnotic grooves until the sun comes out. 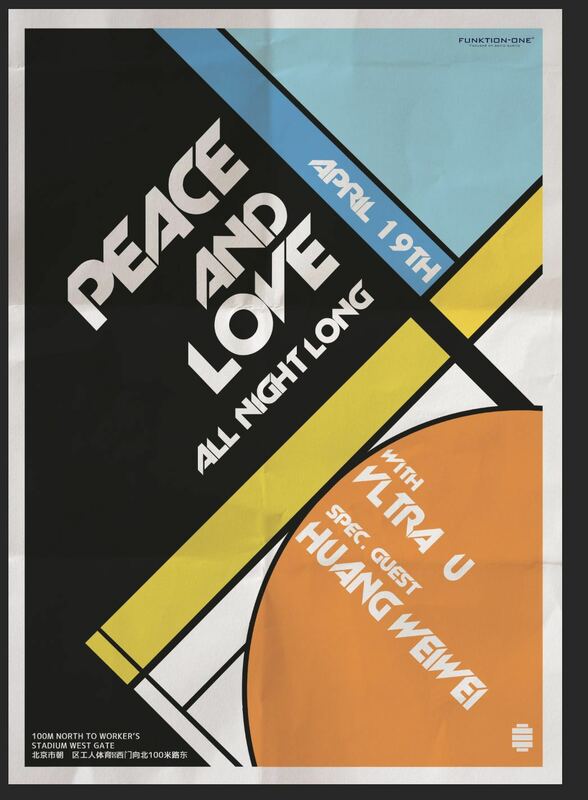 Joining VLTRA_U on the decks for a special back to back set is another China veteran and a member of legendary (now defunct) Acupuncture Records - Huang WeiWei. Having a distinctive personal style while being completely devoted and passionate to the genre of electronic music draws Huang WeiWei massive attention and admiration both in and outside of the business. The artist maintains a low profile in life and possesses a set of profound knowledge and skills for his arts; combing those with a pursuit that perfectly balances between artistic and commercial values grants him with high recognition in the fashion industry. He has created music for various well-known global fashion brands on different events. He has created music for several inland independent avant-garde designers; as well as the opening music for the Beijing and Shanghai fashion week.